If you implement the advice which I detail below, you will be able to slim down and feel great without having to have your calorie calculator present every time you get a little hungry. And considering the long term health benefits of eating right, can you really put it off much longer? My advice is based on the latest research out there - I draw on scientific studies and go with the evidence. My system is best described on Reduced-Carbs, Original Food (RCOF) based diet. There are also dietary supplements to help you along, like forskolin. A reduced-carbohydrate diet is one that tries to eliminate sugary and starchy foods and replace them with quality proteins and fats. "Original food" means choosing whole, unprocessed foods that look as close their natural state as possible. These are foods that humans have eaten over the long sweep of human history, without synthesized additives and chemicals. RCOF is designed to change the way you look at eating - for life - and is easy to implement.It is all about eating what literally comes naturally and research has shown that this kind of strategy outstrips the traditional low fat diets that most people will tell you are necessary to lose weight. If your aim is to be sick and obese, include the following in your diet. (If this is not your goal, get rid of these foods today). 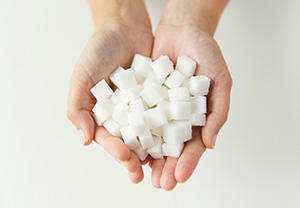 Added Sugar: Sugar, when added to foods, is as bad for you as illegal narcotics are and is just as addictive. It can lead to the development of a number of "lifestyle" diseases including obesity and diabetes. Grains: Grains are the dieter's enemy including grains such as wheat, rye, barley, spelt. and products made from them. Acceptable grains are rice and oats but only if you don't need to lose weight. Seed And Vegetable Oils: A lot of these oils are highly processed and contain a lot of Omega 6 - bad for you if you take too much. Trans Fats: The idea is to eat as close to nature as possible - there is nothing natural about trans fats. Artificial Sweeteners: Studies have shown that artificial sweeteners can, in fact, be harmful to your health and are far from benign. "Diet" and "Low-Fat" Products: Very few low fat products are good for you because of the processing they go through to remove the fat. In addition, they will often contain flavor enhancers and lots of sugar - not at all good for you. Highly Processed Foods: Foods that have been processed are designed to last longer - this is usually at the expense of their nutritional content and with the addition of unhealthy chemicals. You need to be fully informed when it comes to what you eat and this means scrutinizing food labels. You would be amazed at how often sugar and other baddies crop up in the ingredients - even if they are supposed to be healthy. There is a lot to be said for eating foods that are as close to their natural state as you can find. Fresh, unprocessed foods are among those that really pack a punch when it comes to nutrients. If you are a person who is quite athletic or who gets regular exercise, you can eat tubers and even grains that do not contain gluten. On the other hand, if you need to lose weight, you should avoid carbohydrate-rich foods altogether. Fish: Fish is a wonder food, especially fatty fish. 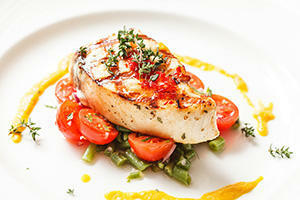 It should be eaten at least once or twice a week in order to get optimal levels of Omega 3. Eggs: Include at least one egg a day; yolk and all. They are super rich in nutrients and help keep you feeling full for longer. Meat: We were intended to eat meat - all meat, as long as it's not processed. If possible, choose meat that has been pasture raised and is free of chemicals. Fruit: Fruits are convenient snacks and are high in vitamins and fiber. The only downside is the carb content - moderate your intake if you are battling with your weight. Vegetables: These are the best source for dietary fiber and need to be eaten daily. High-Fat Dairy: Contrary to conventional wisdom, high fat dairy is better for you. Look for milk from cows that are fed grass for optimal benefits. Nuts and Seeds: Nuts and seeds are chock full of the right sort of fats and nutrients. Do be careful not to overdo it though - they are very high in calories. Potatoes: Potatoes are high in carbs so you do need to moderate your intake if you are slimming down. Fats and Oils: You need both saturated and monounsaturated fats in your diet. Use saturated fats like lard and butter for cooking as they are less likely to oxidize. Tea: Tea is good for you and gives you the antioxidants you get from coffee without the huge caffeine boost (but best to check the label for caffeine content). Water: Your body does need water - drink it whenever you feel thirsty and you should get enough. Steer clear of fruit juices, milk and beer. Simple rule: Keep the calories out of what you drink. Dark Chocolate: As long as you get a chocolate that is made up of at least 70% cocoa, you are fine. This type of chocolate has a lot of antioxidants and good fats and you are more likely to be satisfied with a smaller portion because it is so rich. Alcohol: Steer clear of semi-sweet and sweet wines, choose dry wines; and stick to spirits like whiskey that have no additional sugars added. Optimal Number Of Carbs Per Day? This figure will differ, depending on your level of fitness, activity, etc. Some people find that less than 50 grams a day is the magic number, others find that they do well on 150 grams. 10-20 grams daily: Extremely low, carbs are cut out completely and you have to watch what vegetables you eat. No fruit at all. This is good if you have a lot of extra pounds to shred or if you have insulin resistance, etc. 20-50 grams daily: If you want to drop weight fast this is ideal - you can eat quite a lot of vegetables and one fruit daily. A simpler guideline is that when you want to keep your intake below 50 grams a day, you may not consume added sugar, bread and pasta, etc. You must also stick to no more than one fruit daily. Fitday.com is a good place to help you keep track of your carb and food intake. The accounts are free to create and the system is user friendly. Diabetics, take note: If you are taking medication, you will need to consult your doctor before embarking on a low carb diet or you could end up with dangerously low blood sugar - your doctor will need to adjust your insulin dosage accordingly. What's The Key To This Approach? Nature intended us to hunt and forage for our food meaning a pretty active lifestyle and making do with foods we could find. Our ancestors would have eaten a range of foods, all seasonal and fresh without being processed. Modern society has changed this paradigm a lot. We now no longer have to worry about whether or not a food is in season and we can process foods so that they have longer shelf lives and store them longer in the fridge. We can eat whatever we want, whenever we want. In the less developed parts of the globe where people live in much the same way as our ancestors did, lifestyle diseases are unheard of. Studies have shown that the so-called paleolithic diet favored by our forebears is the way to achieve optimal health and to slim down. Where Does Insulin Fit In? Insulin is what mops up excess glucose in the blood and facilitates the movement of glucose into our cells. Diabetes occurs when our insulin can no longer keep up or when our cells become resistant to it. That is not all insulin does though - it is a real multi-tasker. It is what turns on the fat storing properties of cells. With too much insulin in the blood, the body will no longer use its fat reserves as a source of energy. That is where the typical Western diet has a lot to answer for - insulin is constantly flooding the bloodstream making it impossible for the body to use its fat reserves to power itself. And when it comes to causing insulin to be released, carbs are the worst offenders. That is why a reduced-carb diet is so effective - it allows you to reduce levels of insulin in the blood.Once the blood sugar is balanced and insulin levels return to normal, your body will once again start to burn off the fat reserves in order to power itself. (This process does not happen overnight, however). The big advantage of a reduced carb diet is that you feel fuller and never reach that "starving" phase where you want to eat everything in sight. Your calorie intake thus decreases naturally. No more calorie counting is needed. It is a commonly held misconception that a reduced-carb diet is unhealthy. This is usually due to a lack of research though. The main argument that comes up against reduced-carb diets is that they contain too much saturated fat and this, in turn, increases your cholesterol levels and predisposes you for cardiovascular diseases. Up to date research has turned this idea on its head. Saturated fats actually increase the good cholesterol and help to make the bad cholesterol harmless. And there has never been any real scientific evidence that proves that saturated fat can cause problems with the cardiovascular system. The truth is that a reduced-carb diet will, in fact, allow you to lose more weight and leave you feeling a lot healthier than a low fat diet. Body Fat: You are more likely to feel satiated on a reduced-carb diet and are more likely to lose more fat. Blood Sugar: Reduced-carb diets have been proven to be beneficial to blood sugar regulation. Blood Pressure: A reduced-carb diet will generally also regulate blood sugar levels. Triglycerides: These are the fats that you do not want in your blood stream as they can lead to cardiovascular problems. Reduced-carb diets reduce the amount of these dangerous fats. HDL (good) Cholesterol: In the most basic terms, if you want to lower your risk of cardio problems, increase the amount of good cholesterol. A low fat diet can simply not achieve that nearly as well as reduced carbs. sdLDL (bad) Cholesterol: Low-carb diets can help the body convert this bad cholesterol into a harmless form. Easier: The reason diets tend to fail is because we get hungry and cravings get out of hand - a reduced-carb diet allows you to feel full and is a lot easier to stick to as a result. All of the bullet points above have been carefully researched via randomized scientific trials. That means that science agrees that a RCOF diet beats the pants off of the more traditional low fat model. 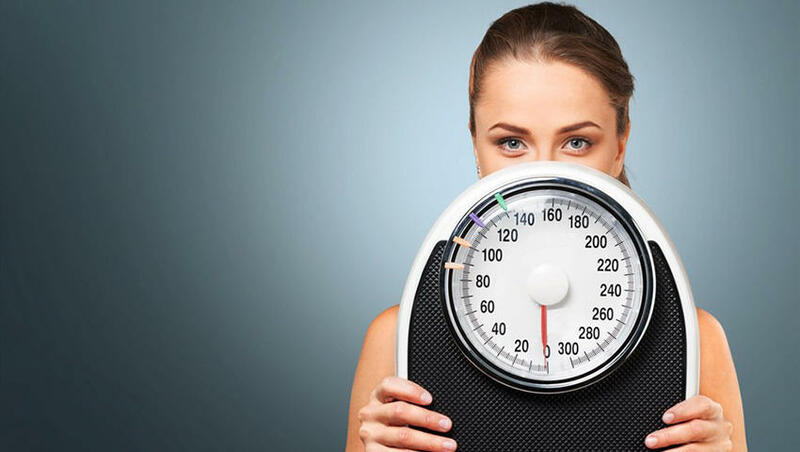 Obviously you are going to see some changes in the body once you swap out much of your carbs.You can expect hormonal changes as the body starts to increase fat burning enzymes - this will be most evident in the first week but can take a few weeks to normalize. Normally these are pretty mild and they will go away as your body starts getting used to the new diet. What you need to remember is that the diet changes the way your body operates and you need to give it time. What is essential is that you get enough fat because this is what your body will be burning. You don't want to push it into starvation mode as you will also feel out of sorts and will not be able to continue. You can also expect a lot less bloating and water retention so do expect to lose a good amount the first week or so. This is, however, just water weight so don't be discouraged if your second week's weight loss doesn't match up. You may also need to add some more salt to your diet to counteract the loss of sodium. For most people, the worst part is the first few days - after that, they never look back. If you are really battling, try upping your intake of sodium and fat. This is a basic menu to get you through the first week - there are under 50 grams of carbohydrates daily. Breakfast: Omelet prepared in coconut oil and loaded with veggies.Lunch: Organic unsweetened plain yogurt, with fresh blueberries and flaked coconut.Dinner: A beef burger patty and slice of full fat cheese, served with veggies and salsa sauce (make enough to have leftovers for lunch tomorrow). Breakfast: Bacon and eggs.Lunch: Last night's extrasDinner: Boiled Salmon on a bed of veggies and drizzled with butter. Breakfast: Fried eggs with sauteed veggies - use butterLunch: Shrimp salad - use extra virgin olive oil as a dressing.Dinner: Grill or steam some chicken and veggies. Breakfast: Repeat Day 2Lunch: Grill chicken and serve in bite size chunks as part of a salad. Dress with extra virgin olive oil.Dinner: Pork chops and veggies. Breakfast: Repeat Day 1.Lunch: Repeat Day 1.Dinner: Meatballs prepared in a fresh tomato sauce and veggies. Breakfast: Repeat Day 2.Lunch: A shake made from coconut milk, and whey powder and the flavor of your choice. Add in a dollop of heavy cream and finish off with berries of your choice.Dinner: Chicken wings without sauce - grilled till crispy (but not burned, that black stuff is not good for you). Baby spinach, uncooked. You need to change up the veggies every day to get the best range of nutrients. You can choose one fruit or a handful of berries daily - no more if you need to hold to the max 50 grams of carbs. If you can afford it go for organic, naturally raised foods but don't break the bank. Be sure not to compromise when it comes to buying processed foods - don't do it!